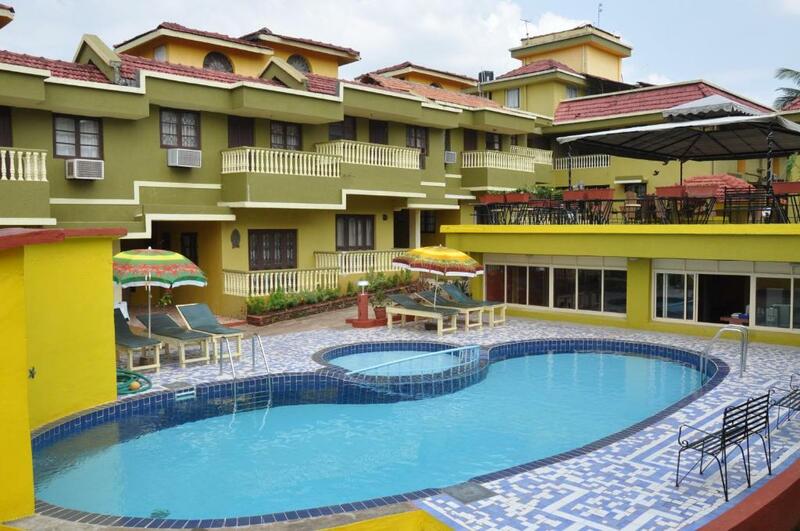 The place is developed beautifully and villas are well maintained. I loved the resort. It was like an apartment with hall kitchen and 2 rooms. So we had all the privacy. 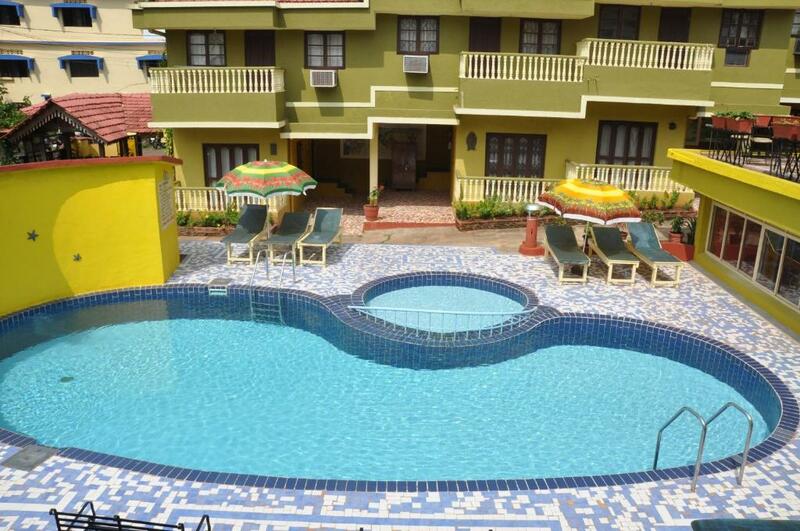 And there was a swimming pool.just next to our room. So we went in for swim .even thought it wasn't that clean we ignored it and went for a dip anyways. The staff was friendly and helpful. The beaches are a good 1 hour walk. I would suggest visitors to either take a Rick or scooty. Dont walk and go unless you fancy a walk. The restaurants at the beach were authentic and I would suggest you to try Johnny and Rogers. They were the best. All in all had a blast. 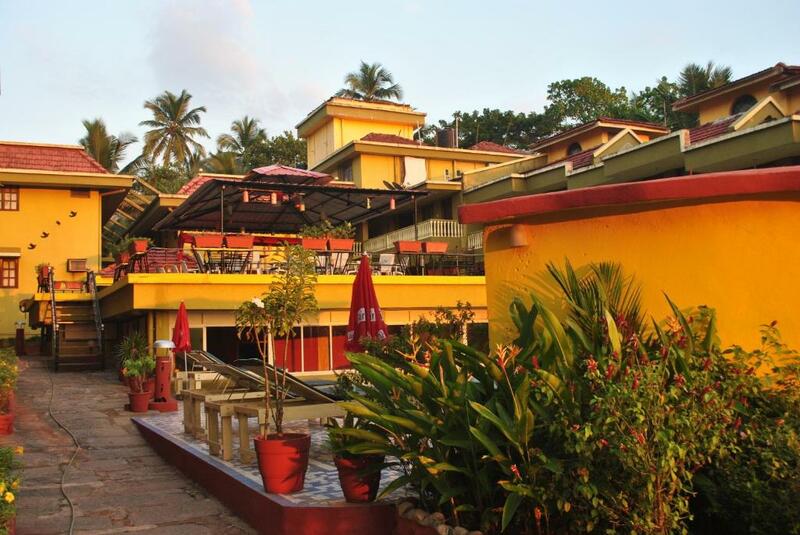 The location was good close to the beach about twenty minutes walk.Mr.Brice the property manager was very helpful and accommodating to our needs.The swimming pool was very clean, the front desk staff the chef and the room service did a very good job always smiling. The rooms are spacious. My apartment had a bedroom, a washroom, a small kitchen area (which cannot be used, by the way) with a refrigerator (which can be used) and a spacious hall with balcony. The hall also had a small TV with a dish connection. The staff were quite prompt and helpful, especially the staff at the front desk. 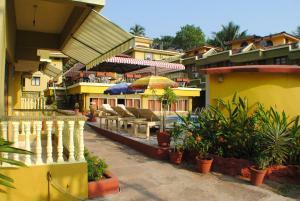 The property is about 1 km from Vaddi beach, which is very peaceful and quiet and an awesome place to relax. A strange place, the staff when you could find them were very nice , friendly and helpful. I didn’t see any other guests when I was there, which for such a high season time of year, where was everybody? Excellent property location.Brice was very helpful and other staff as well.Pleasent stay with no issues.highly recommended!! Ambience, standards of room, staff service, helpful nature in terms of travel arrangements needed for local travel. San Joao Holiday Homes This rating is a reflection of how the property compares to the industry standard when it comes to price, facilities and services available. It's based on a self-evaluation by the property. Use this rating to help choose your stay! One of our top picks in Benaulim.Located 0.6 mi from Benaulim Beach, San Joao Holiday Homes offers well-appointed apartments. It features an outdoor swimming pool, wellness center and multi-cuisine restaurant. Free Wi-Fi and parking are provided. The air-conditioned rooms at Holiday San Joao come with hardwood furnishings. 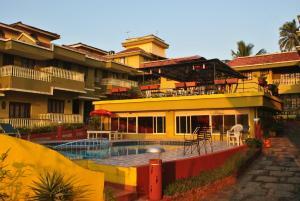 Each well-appointed room is fitted with a TV and private bathroom with shower facilities. Guests can enjoy a variety of body treatments at the wellness center. With a 24-hour front desk, staff can assist with car rental services, while sightseeing and travel arrangements can be made at the tour desk. The restaurant serves a variety of local and international dishes. 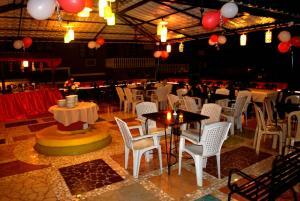 Outdoor dining options are also available. Holiday Homes San Joao is 200 feet from the Holy Trinity Church and 1.9 mi from Colva Beach. 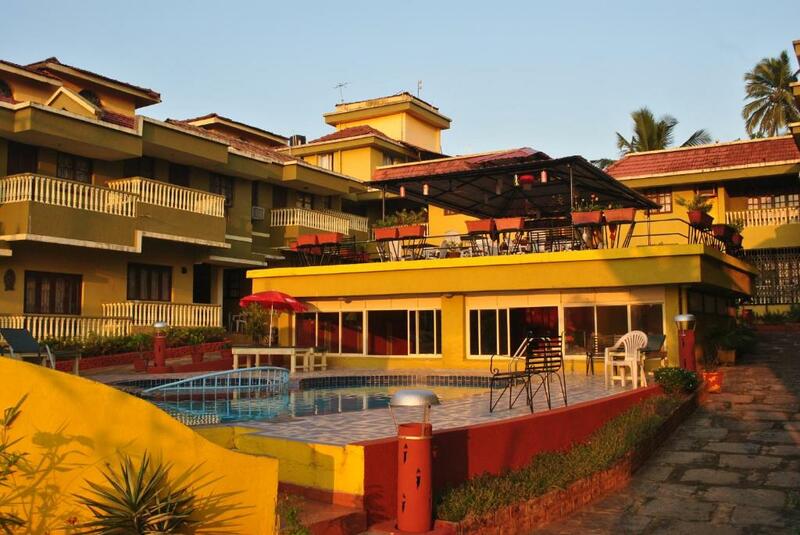 Dabolim Airport is 17 mi from the hotel. When would you like to stay at San Joao Holiday Homes? This apartment features views of the pool. This one-bedroom apartment has a private bathroom. House Rules San Joao Holiday Homes takes special requests – add in the next step! Please inform San Joao Holiday Homes of your expected arrival time in advance. You can use the Special Requests box when booking, or contact the property directly using the contact details in your confirmation. The mattresses on the bed was hard not to our western liking( for western and European countries they should have soft firm mattresses) most of the old air conditioner should be replaced, the bathroom toilets are leaking, I think a little maintenance at all times will help. The hotel was ok our room was ok nice balcony. My main pain point was with the restaurant service. Though the food quantities were good, the taste was only so-so. The restaurant was also regularly closed for orders which was also a real pain. The choices for breakfast are also quite limited. Tiny swimming pool, more of a gesture and tick a box than actually use. No bar, there is a restaurant but it’s empty and no staff, I found one staff member on the road outside to ask for a cup of coffee , a mystery hotel. The beds were awful, no more than a straw mattress on solid wood, our party of 8 did not sleep for the 2 nights we stayed. 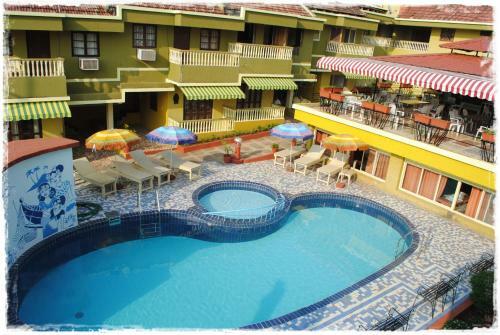 Facility like drinking water not provided which is basic requirement and every hotel or resort provides the same. 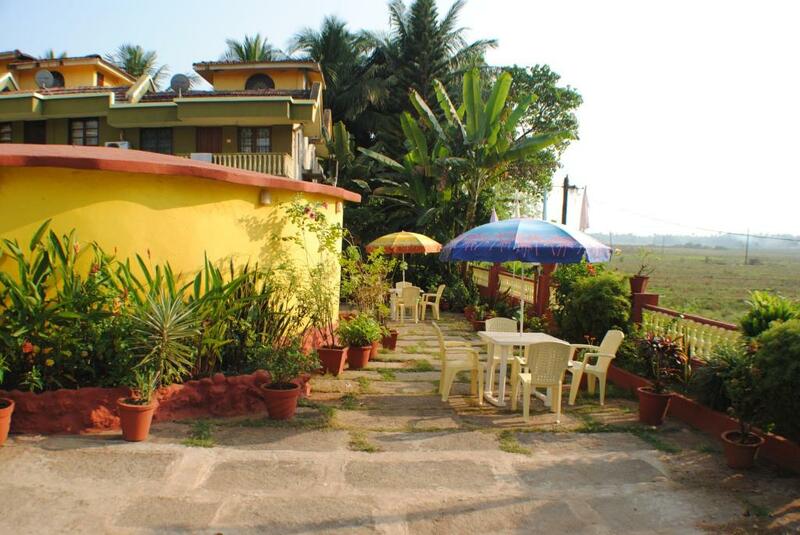 Well maintained property, close proximity to vadi & Benaulim Beach. Staffs are polite and helpful and also the owner is very humble. Madgaon is at a distance of 15-20 mins while airport is approx 40 mins.